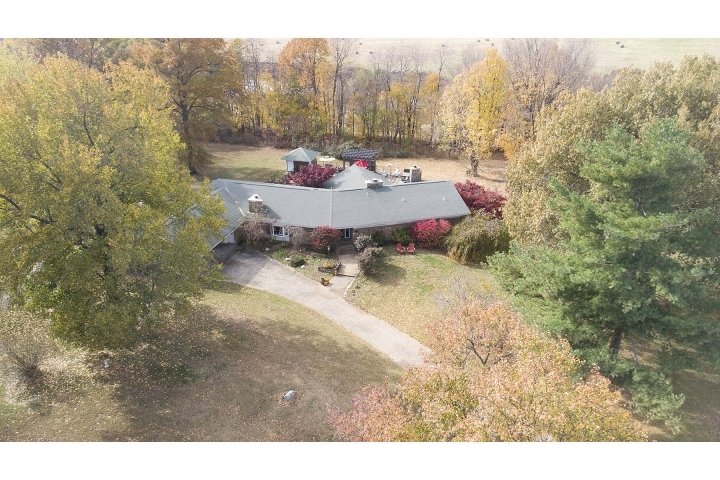 ENTER THIS SPECTACULAR PROPERTY THOUGH A STONE COLUMNED, GATED DRIVEWAY, LINED WITH SUGAR MAPLES, CHERRIES AND BOXWOODS. This 13.59 acre oasis, just a few minutes from Cape, has too many extras to mention. An immaculate stone and sided ranch home has vaulted beamed ceilings, a great room with a fireplace to cozy up to on cold winter days, a formal dining room with built-ins for entertaining and a three car garage for storage. 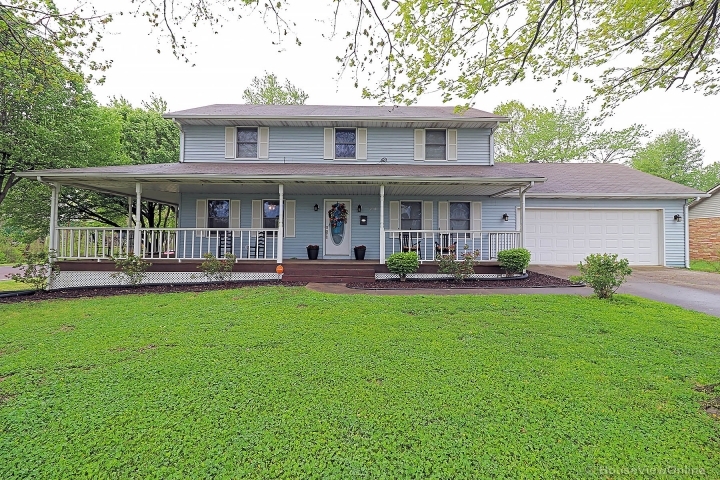 The lower level has a theatre room and wet bar, and walks out to garden area with an in-ground pool, hot tub, and outside kitchen for summer fun! There is a detached garage with an exercise room, a horse barn with stalls, tack and hay rooms, and a large shop. A very clean 1995 Patriot modular home also sits on the property and can be maintained for family or sold if preferred. There is a spring fed pond stocked with blue gill and bass for your fishing pleasure. Needless to say, this property comes with beautiful views of wide open sky and with room to run!